It was during the turbulent year of 1984 that businessman Jerry Liu incorporated Cirtek Electronics Corporation (CEC), with dreams of establishing a globally-competitive company then operating out of Manila's district of Paco. The road to that end was far from smooth for CEC, an independent subcontractor for semiconductor assembly, test and packaging services. 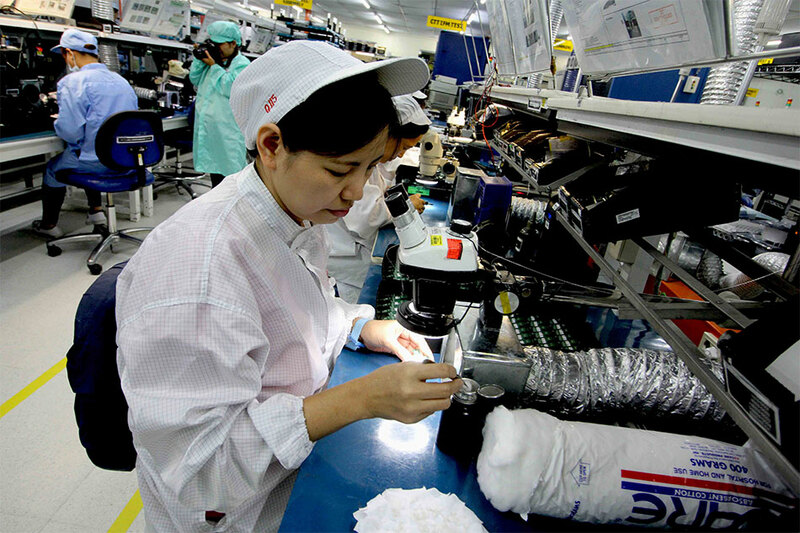 The first 15 years of the electronics manufacturer was littered with domestic political ructions, including the People Power Revolution and a handful of deadly coups that nearly brought the economy to its knees, as well as the Asian Financial Crisis that robbed the region of its prosperity. Those troubles failed to force CEC to take a detour. In fact, the company continued to be profitable and consistently paid its shareholders cash dividend since its first full-year of operations. In 1995, Mr. Liu established Cirtek Electronics International Corp. (CEIC) which set up an office in the US to sell integrated circuits to the U.S. and also to cover Europe. Cirtek Electronics Corporation and CEIC later became the core businesses of Cirtek Holdings Philippines Inc., which in 2011 had its initial public offering—the first of many steps that Mr. Liu needed to take to realize a dream nearly three decades in the making. Fast forward to 2016. Cirtek Holdings hired former investment banker Roberto Juanchito Dispo as president and attracted Silicon Valley legend Diosdado "Dado" Banatao to the company's board and gave him the role of technology adviser to help draw a roadmap to create a global technology player. "Our roadmap will make us a global competitor," Mr. Liu said. "We are transforming the company from pure manufacturing into a high-tech, high-value, and highly modern company that produces its own product lines with research and development capabilities," he said. "Cirtek is already a fully integrated company with a lot of technical know-how—and even from manufacturing to marketing because of R&D and product innovation," Mr. Liu noted. Cirtek Holdings has since partnered with Facebook for the social media giant's vision of making the Internet accessible to all and has taken a stake in Mr. Banatao's CloudMondo, a Silicon Valley software company that seeks to enable superfast Wi-Fi connectivity. Cirtek Holdings had beefed up its financial muscle with a PHP2.2 billion follow-on offering in 2015, allowing it to bankroll several acquisitions. But none was bigger than the purchase it completed in August. The listed company acquired Quintel Technology Limited, a leading U.S. manufacturer of multi-port, multi-frequency antenna. Dispo said a few more acquisitions will help realize the five-year vision for Quintel to become a company with at least $500 million in revenue—a financial performance that will qualify the smart antenna producer to list on the NASDAQ. "Quintel possesses the most advanced technology in antenna systems and we want to sustain that by coming up with a solid R&D roadmap and then complementing their antenna cellular technology with Dado Banatao's artificial intelligence and our own RF (radio frequency) product, which is a millimeter wave technology," said Mr. Dispo. "This will probably lead to the development of the most advanced antenna in the world. That is the technology roadmap—further innovate the antenna technology systems into intelligent antenna systems," he added. But even before all of that innovation happens, Cirtek Holdings is already implementing a plan that will allow Quintel to roll out new products and open new markets starting next year to drive revenue higher. Cirtek Holdings expects Quintel to account for around half of the group's revenue that is projected reach around $200 million next year. Quintel already supplies antennas to AT&T and Verizon and to telecom firms in Puerto Rico. The expansion of Quintel will require new funding for Cirtek Holdings apart from the cash flow the company could generate. This month, Cirtek Holdings is selling U.S. dollar-denominated preferred shares to raise at least $60 million. The company has earmarked another $80 million to cover excess demand from public investors seeking a good yield, minimize foreign exchange risk or possibly take advantage of an expected strengthening of the U.S. dollar in the face of a more hawkish Federal Reserve. The preferred shares offer a dividend yield of 6.125% and have a step-up provision that would raise it to 9.125% if Cirtek Holdings decides not to redeem the preferred shares after the 5th year anniversary. The preferred shares will be listed in the Philippine Stock Exchange on December 8. The public offer of the preferred shares ends on Nov. 29.